Are you noticing excess hair growth--not just on your face, but also around your body? If so, you may be suffering from a problem called hirsutism. Did You Know? More than 3 million women in the US are affected by hirsutism. These things all increase your risk of hirsutism, but did you know that your diet can also lead to excessive hair growth? 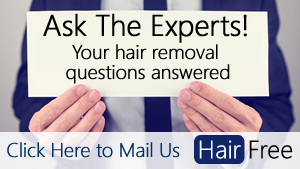 There are a number of ways that your diet can contribute to excessive hair growth. First of all, when you eat too much, you tend to gain weight. Obesity leads to increased production of androgens and testosterone in the body, two hormones which increase the growth of hair. Losing weight is actually one of the remedies for treating hirsutism, as a decrease in weight and body mass can reduce hormone production. If you eat too many high-carb, high-sugar foods, your body is more likely to develop a resistance to insulin. Insulin resistance is the result of regular spikes in blood sugar levels, very common when you eat sugar, high-carb foods. To reduce your risk of hirsutism, it's time to stop eating sugar, refined, and white flour foods. Green tea is one of those foods you just can't get enough of, as it's AMAZING for overall health. Studies have discovered that the polyphenols in green tea can help to reduce the presence of one of the hormones that lead to hirsutism, as well as preventing the action of androgen and testosterone. Adding lemon juice to your green tea increases the EGCG your body can absorb from the tea! Spearmint has proven to help reduce the levels of free active testosterone in your blood, meaning it can help to prevent excessive hair growth. Drinking two or three cups of spearmint per day can aid in hair growth control. For those whose excess hair growth is caused by insulin resistance, cinnamon is a spice you need to eat a lot more of. Cinnamon will help to increase your body's sensitivity to insulin, control blood sugar levels, and reduce sugar cravings. Crimini mushrooms are an amazing source of Vitamins B2, B3, and B5, all of which help to reduce hirsutism. B2 helps to normalize thyroid and metabolic function, B3 controls blood sugar, and B5 aids in weight loss. By eating more of these mushrooms, you can control your hair growth. Who knew that salad would be so helpful for stopping hair growth? Lettuce contains chromium, a trace mineral that helps to regulate your blood sugar levels and thus reducing insulin production. It can also help to promote weight loss, so it's a good idea to eat a lot more lettuce every day. Few foods are as packed with nutrients as seeds and nuts, and sunflower seeds are one of the best. They're loaded with Vitamins B2 and B5, both of which play important roles in controlling hair growth. Eating these seeds can help you to combat that unwanted hair growing on your body. If you want to add more B complex vitamins to your diet, few foods can match apricots. You get Vitamins B3, B5, and B6 from this little fruit, and this vitamin combo can help you to lose weight, reduce hair growth, and maintain hormonal balances in your body. Sprinkling a bit of wheat germ onto your cereal is a great way to add more Vitamin B6 to your diet. This B vitamin helps to promote a healthy balance of hormones, so it's essential for combatting hirsutism. You can get a lot of other B vitamins from wheat germ as well! Licorice root tea is a remedy for a number of health problems, but drinking tea made from this root can help to reduce testosterone levels in your blood. Licorice root also contains an odd-sounding compound named glycyrrhizin, which stops your body from producing the enzymes needed to produce testosterone. Skinless chicken breast is one of the healthiest protein sources around, and it's a great food to eat for weight loss. It's also rich in Vitamins B3 and B6, both of which will help to combat your excessive hair growth. Barley is one of those whole grains that you can never get enough of, so it's time to add it to your anti-hirsutism diet. It has a VERY low GI ranking, meaning it won't affect your blood sugar--reducing insulin resistance. Hulled and regular barley will be a useful carb to eat for energy, but you'll find that it won't cause drastic fluctuations in your blood sugar levels. It turns out tuna is one of those foods to eat to fight excessive hairiness. Tuna is a very low-fat, zero-carb form of protein, so you can eat it without worrying about weight gain. The fish also contains a lot of B vitamins that will help to reduce your hair growth, so it's a good idea to add more tuna to your diet. Note: Be careful not to eat too much tuna, as it can lead to exposure to mercury and other heavy metals. All leafy greens contain magnesium, but spinach contains more than all the others--79 mg (20% of your DV) in just 100 grams of the stuff. There have been studies connecting magnesium deficiencies with an increased resistance to insulin, so not getting enough magnesium could lead to hirsutism. In order to prevent this problem, eat more spinach! The food you eat can help you to control your hair growth, so it's time to add these foods above to your diet.